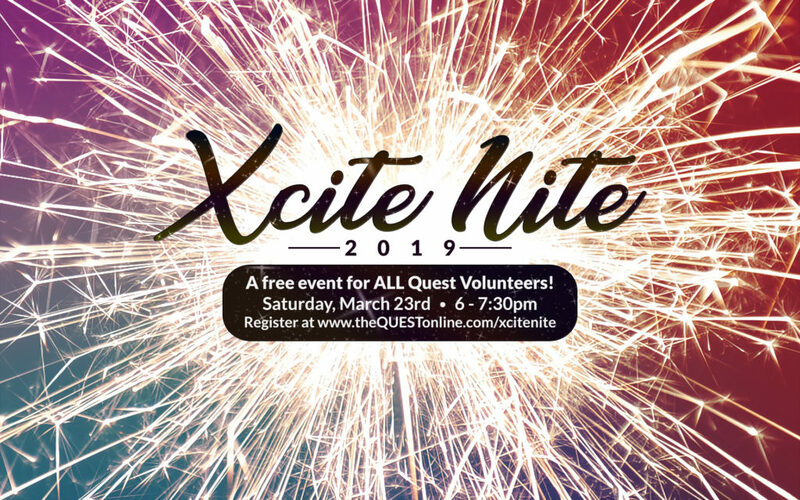 Join us for our 3rd Annual Xcite Nite! This is an event for all Quest Volunteers. The staff want to give you a fun night to say THANKS for all you do! We will have dinner and “entertainment” provided by the Quest Staff. We will also have childcare available and food will also be provided for the kids.